Lincomycin is used for the treatment of infections caused by Gram-positive organisms, notably staphylococci, ¡-he-molytic streptococci, and pneumococci. It is absorbed moderately well orally and distributed widely in the tissues. Effective concentrations are achieved in bone for the treatment of staphylococcal osteomyelitis but not in the cerebrospinal fluid for the treatment of meningitis. At one time, lincomycin was considered a nontoxic compound, with a low incidence of allergy (rash) and occasional GI complaints (nausea, vomiting, and diarrhea) as the only adverse effects. Recent reports of severe diarrhea and the development of pseudomembranous colitis in patients treated with lincomycin (or clindamycin), however, have necessitated reappraisal of the role of these antibiotics in therapy. In any event, clindamycin is superior to lincomycin for the treatment of most infections for which these antibiotics are indicated. Lincomycin hydrochloride occurs as the monohydrate, a white, crystalline solid that is stable in the dry state. It is readily soluble in water and alcohol, and its aqueous solutions are stable at room temperature. It is degraded slowly in acid solutions but is absorbed well from the GI tract. Lincomycin diffuses well into peritoneal and pleural fluids and into bone. It is excreted in the urine and the bile. It is available in capsule form for oral administration and in ampules and vials for parenteral administration. In 1967, Magerlein et al.226 reported that replacement of the 7(r)-hydroxy group of lincomycin by chlorine with inversion of configuration resulted in a compound with enhanced antibacterial activity in vitro. 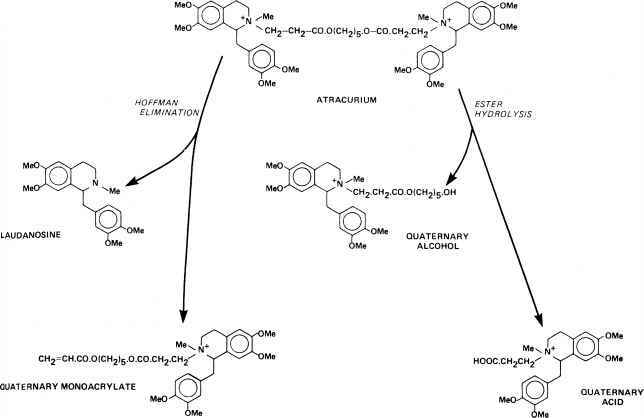 Clinical experience with this semisynthetic derivative, clindamycin, 7(s)-chloro-7-deoxylincomycin (Cleocin), released in 1970, has established that its superiority over lincomycin is even greater in vivo. Improved absorption and higher tissue levels of clindamycin and its greater penetration into bacteria have been attributed to a higher partition coefficient than that of lincomycin. Structural modifications at C-7 (e.g., 7(s)-chloro and 7(r)-OCH3) and of the C-4 alkyl groups of the hygric acid moiety227 appear to influence activity of congeners more through an effect on the partition coefficient of the molecule than through a stereospecific binding role. Changes in the a-thiolincosamide portion of the molecule seem to decrease activity markedly, however, as evidenced by the marginal activity of 2-deoxylincomycin, its anomer, and 2-o-methyllincomycin.227'228 Exceptions to this are fatty acid and phosphate esters of the 2-hydroxyl group of lincomycin and clindamycin, which are hydrolyzed rapidly in vivo to the parent antibiotics. Clindamycin is recommended for the treatment of a wide variety of upper respiratory, skin, and tissue infections caused by susceptible bacteria. Its activity against streptococci, staphylococci, and pneumococci is indisputably high, and it is one of the most potent agents available against some non-spore-forming anaerobic bacteria, the Bacteroides spp. in particular. An increasing number of reports of clin-damycin-associated GI toxicity, which range in severity from diarrhea to an occasionally serious pseudomembranous colitis, have, however, caused some clinical experts to call for a reappraisal of the role of this antibiotic in therapy. Clindamycin- (or lincomycin)-associated colitis may be particularly dangerous in elderly or debilitated patients and has caused deaths in such individuals. The colitis, which is usually reversible when the drug is discontinued, is now believed to result from an overgrowth of a clindamycin-resistant strain of the anaerobic intestinal bacterium Clostridium difficile?29 The intestinal lining is damaged by a glycoprotein endotoxin released by lysis of this organism. The glycopeptide antibiotic vancomycin has been effective in the treatment of clindamycin-induced pseudomembranous colitis and in the control of the experimentally induced bacterial condition in animals. Clindamycin should be reserved for staphylococcal tissue infections, such as cel-lulitis and osteomyelitis, in penicillin-allergic patients and for severe anaerobic infections outside the central nervous system. Ordinarily, it should not be used to treat upper respiratory tract infections caused by bacteria sensitive to other safer antibiotics or in prophylaxis. Clindamycin is absorbed rapidly from the GI tract, even in the presence of food. It is available as the crystalline, water-soluble hydrochloride hydrate (hyclate) and the 2-palmitate ester hydrochloride salts in oral dosage forms and as the 2-phosphate ester in solutions for intramuscular or intravenous injection. All forms are chemically very stable in solution and in the dry state. Clindamycin palmitate hydrochloride (Cleocin Pediatric) is the hydrochloride salt of the palmitic acid ester of cleomycin. The ester bond is to the 2-hydroxyl group of the lincosamine sugar. The ester serves as a tasteless prodrug form of the antibiotic, which hydrolyzes to clindamycin in the plasma. The salt form confers water solubility to the ester, which is available as granules for reconstitution into an oral solution for pediatric use. Although absorption of the palmitate is slower than that of the free base, there is little difference in overall bioavailability of the two preparations. Reconstituted solutions of the palmitate hydrochloride are stable for 2 weeks at room temperature. Such solutions should not be refrigerated because thickening occurs that makes the preparation difficult to pour. Clindamycin phosphate (Cleocin Phosphate) is the 2-phos-phate ester of clindamycin. It exists as a zwitterionic structure that is very soluble in water. It is intended for parenteral (intravenous or intramuscular) administration for the treatment of serious infections and instances when oral administration is not feasible. Solutions of clindamycin phosphate are stable at room temperature for 16 days and for up to 32 days when refrigerated. 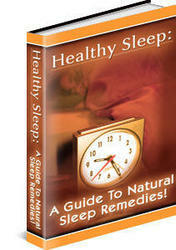 A Guide to Natural Sleep Remedies. Many of us experience the occasional night of sleeplessness without any consequences. It is when the occasional night here and there becomes a pattern of several nights in arow that you are faced with a sleeping problem. Repeated loss of sleep affects all areas of your life The physical, the mental, and theemotional. Sleep deprivation can affect your overall daily performance and may even havean effecton your personality.